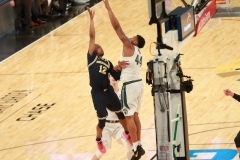 NEW YORK — To play off the legendary Miles Davis album, it was “Blue Over Green” that ended up being the jazz melody playing at Madison Square Garden on Saturday afternoon. 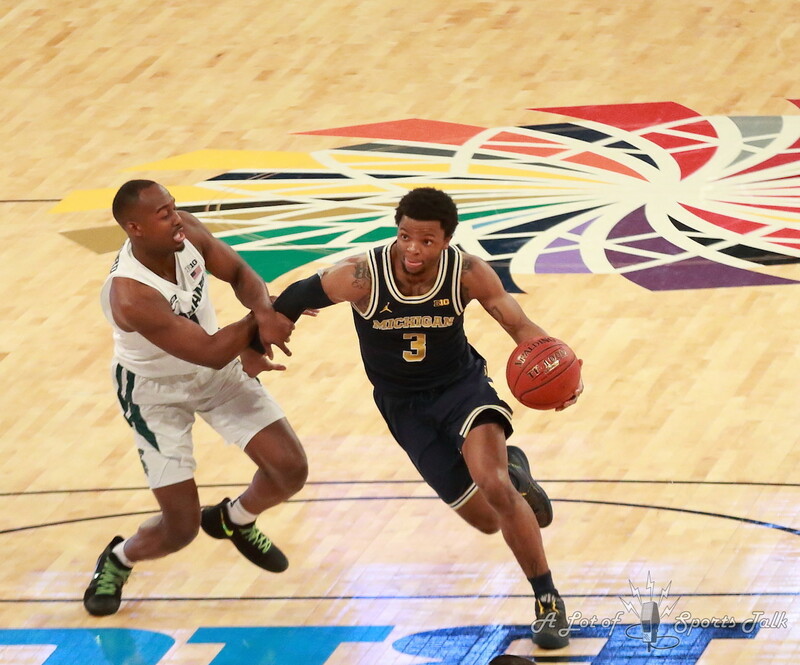 That’s because the Michigan Wolverines, the No. 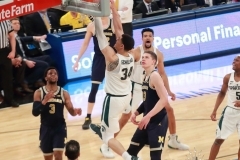 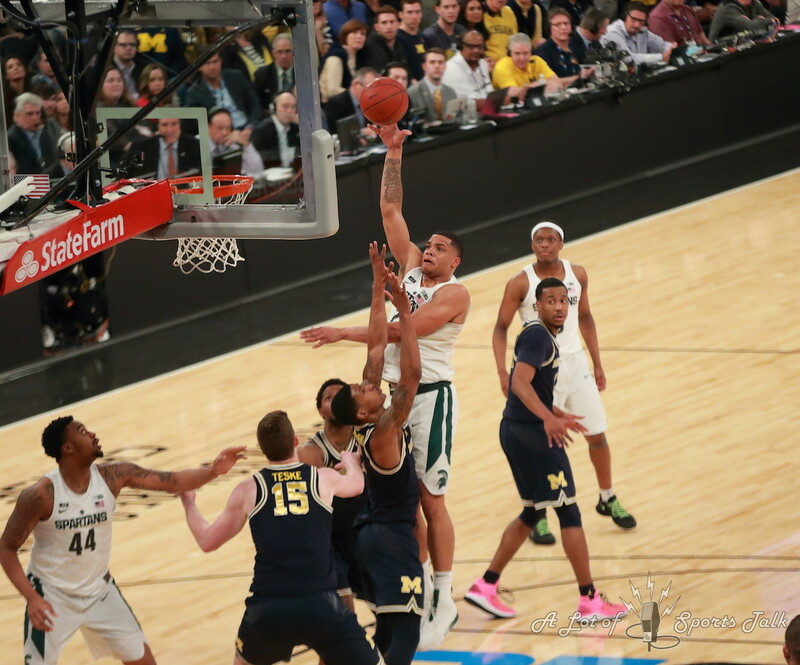 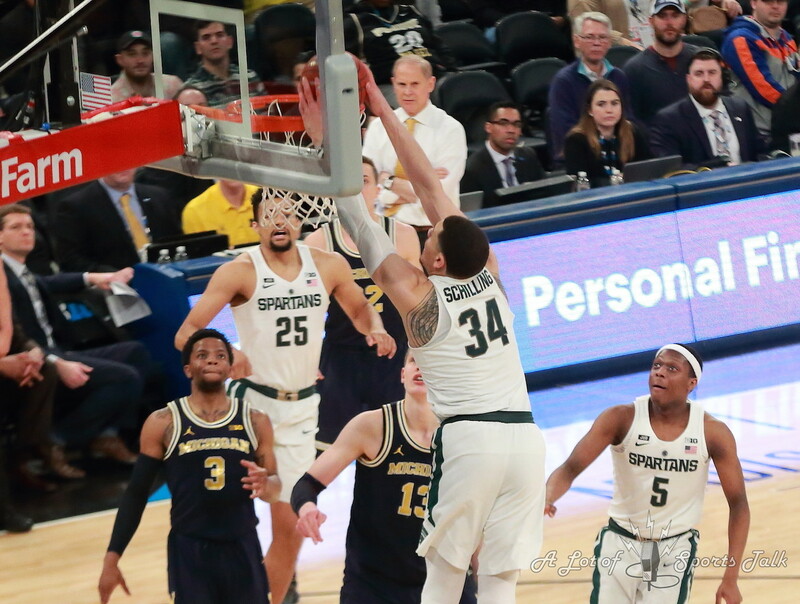 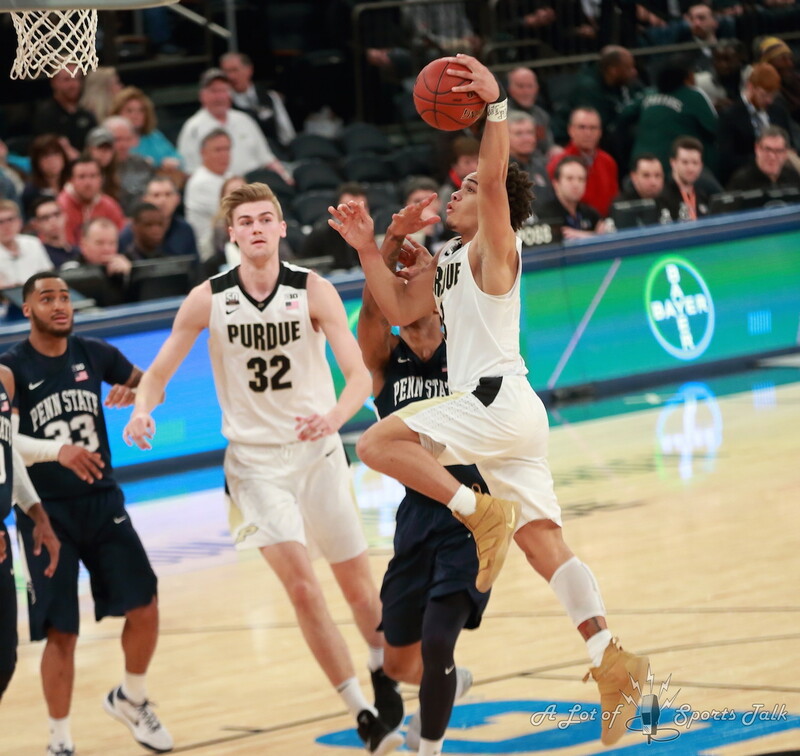 4 seed in the 2018 Big Ten Tournament, pulled off another victory over their in-state rival, top-seeded Michigan State, defeating the Spartans 75-64 in front of a raucous, sold-out crowd to advance to the conference championship game for a second consecutive season. 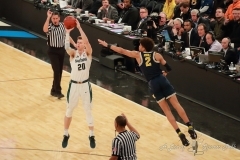 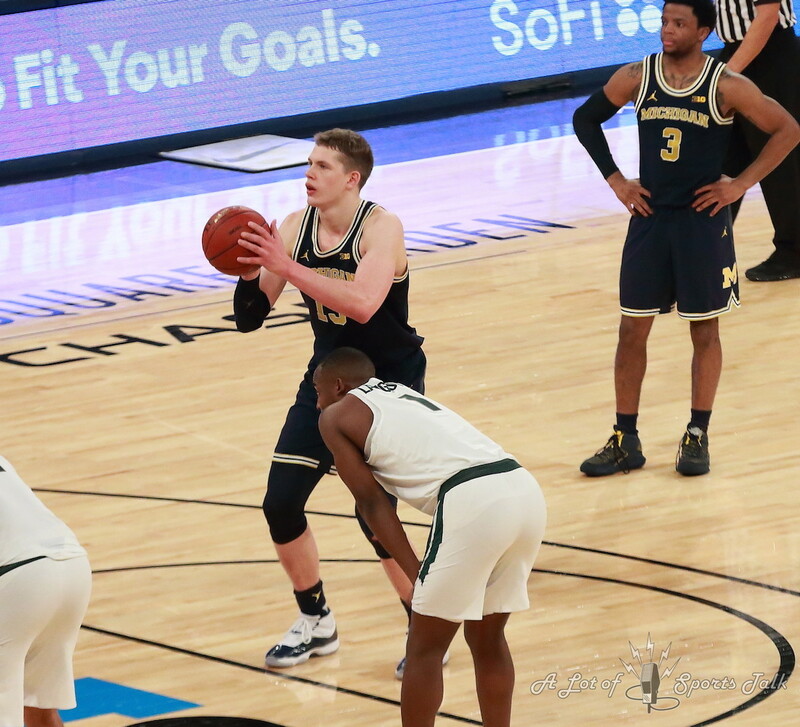 After being down by three at the half and missing 20 of their 29 shots from the field in the first 20 minutes, the Wolverines found their shooting range in the second half, shooting 67 percent from the field in the second half. 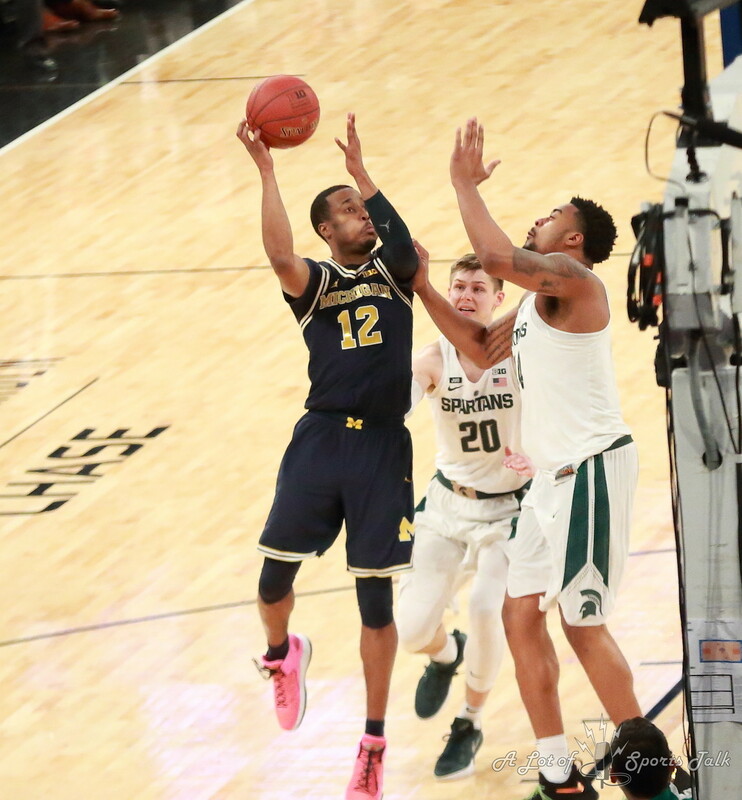 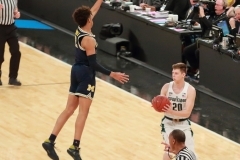 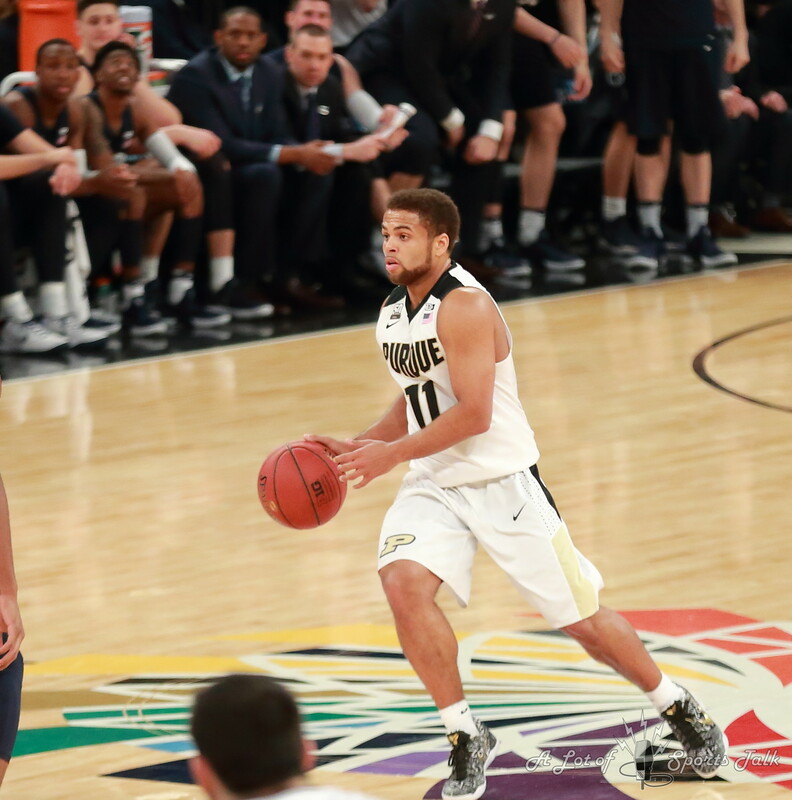 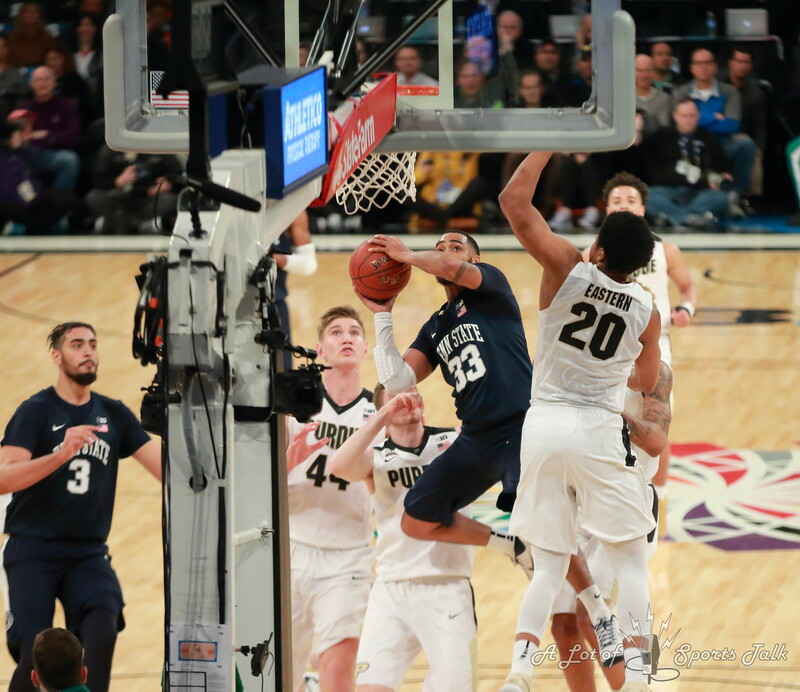 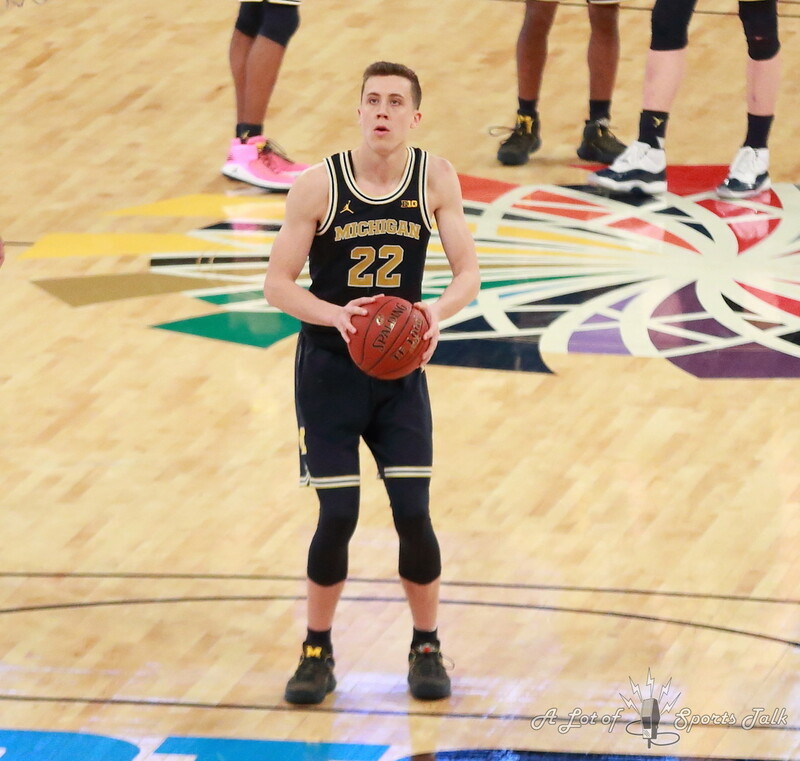 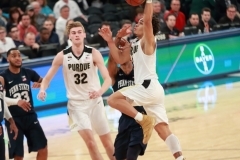 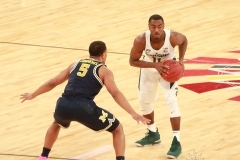 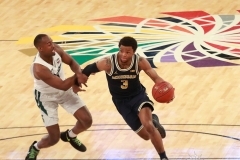 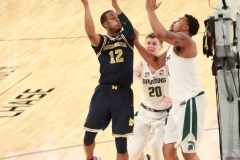 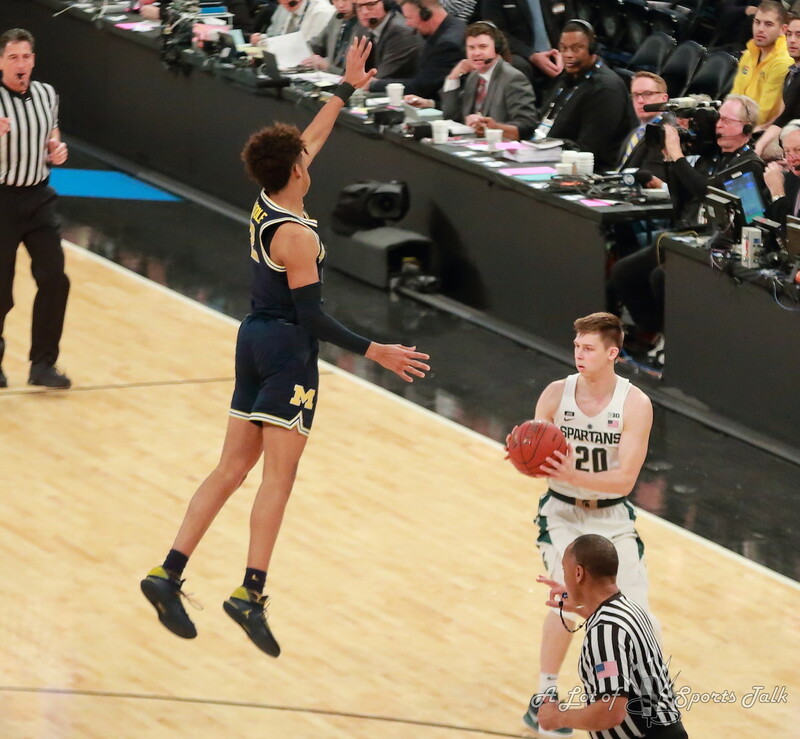 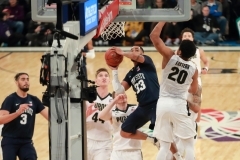 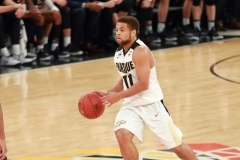 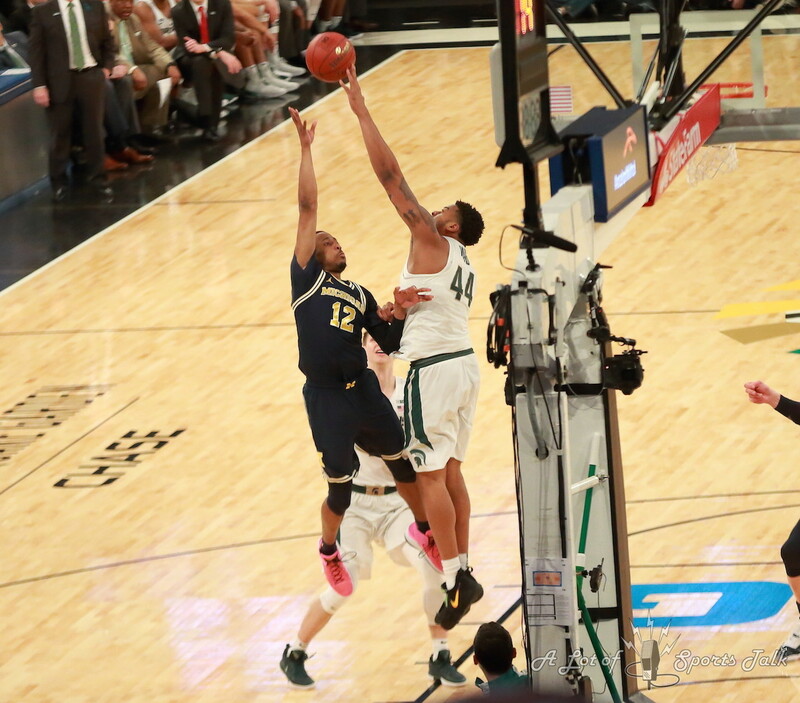 Five of the 12 shots they hit in the second half were three-pointers, including three long-range efforts from Muhammad-Ali Abdur Rahkman, who was one of three Michigan players who ended with 15 points. 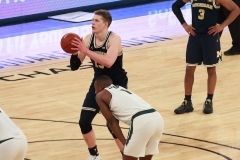 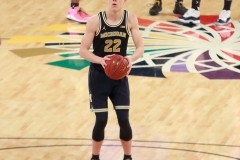 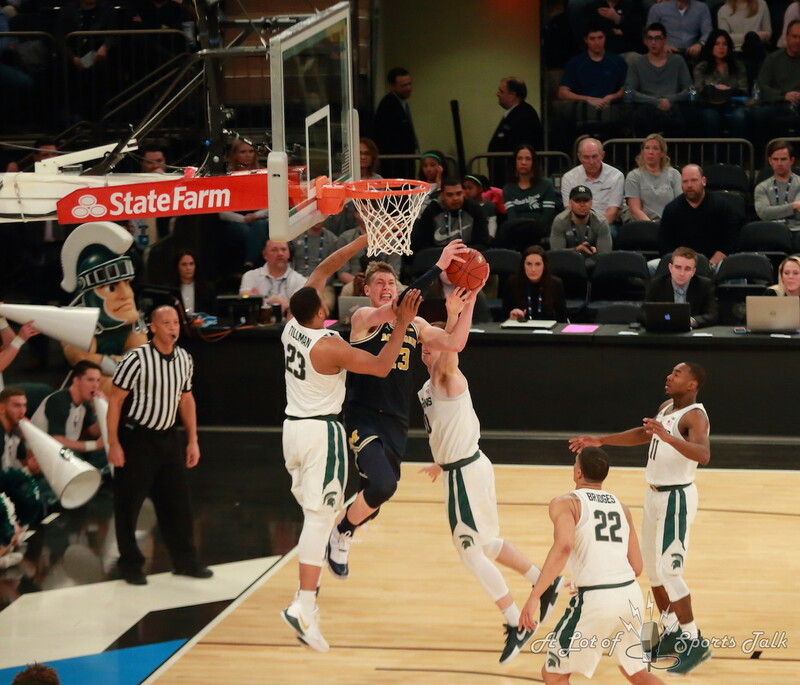 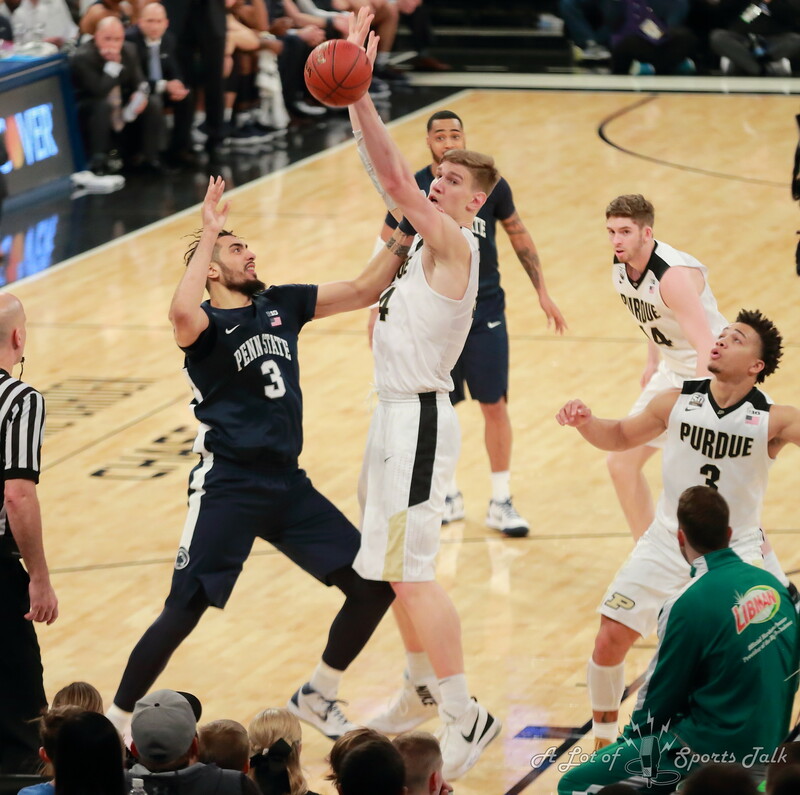 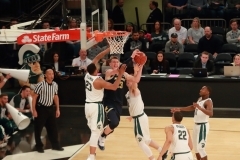 Moe Wagner, who missed all seven of his field goal attempts in the first half and only scored one point, exploded for 14 second-half points in finishing with 15 points and eight rebounds. 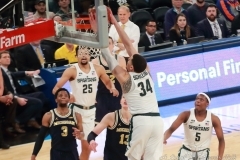 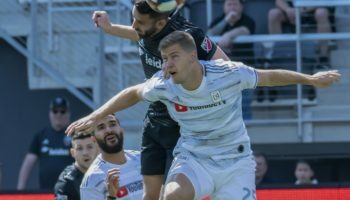 For the Spartans, today’s defeat marked just the fourth defeat of the season, but the second against the Wolverines. 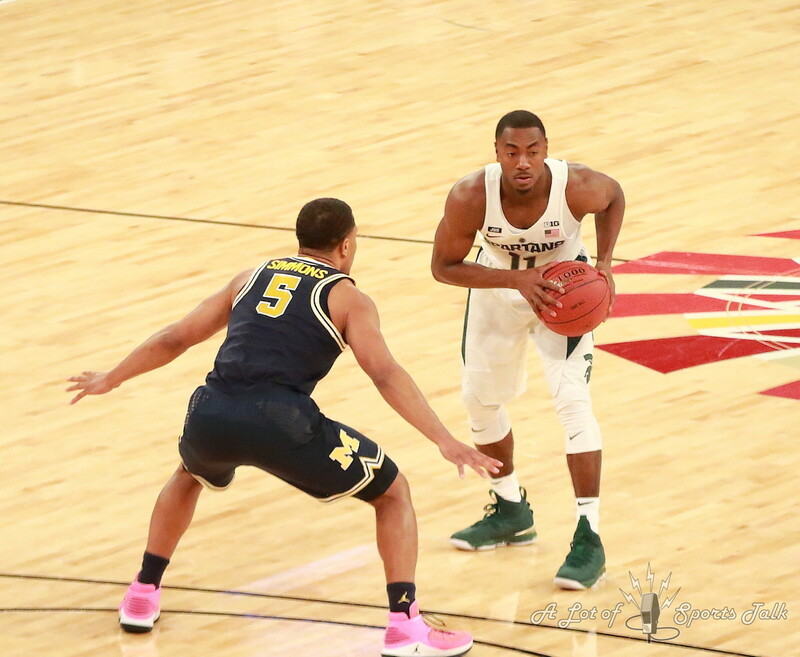 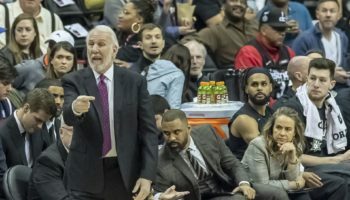 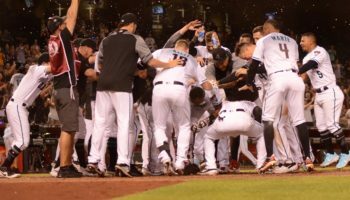 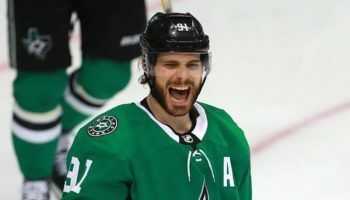 Though coming in winning 13 consecutive games, Michigan State has not played like a team that’s on the short list for a No. 1 seed over the past two weeks, having to come back from a 27-point deficit to win at Northwestern two weeks ago and recording two narrow victories over Wisconsin before today’s loss. 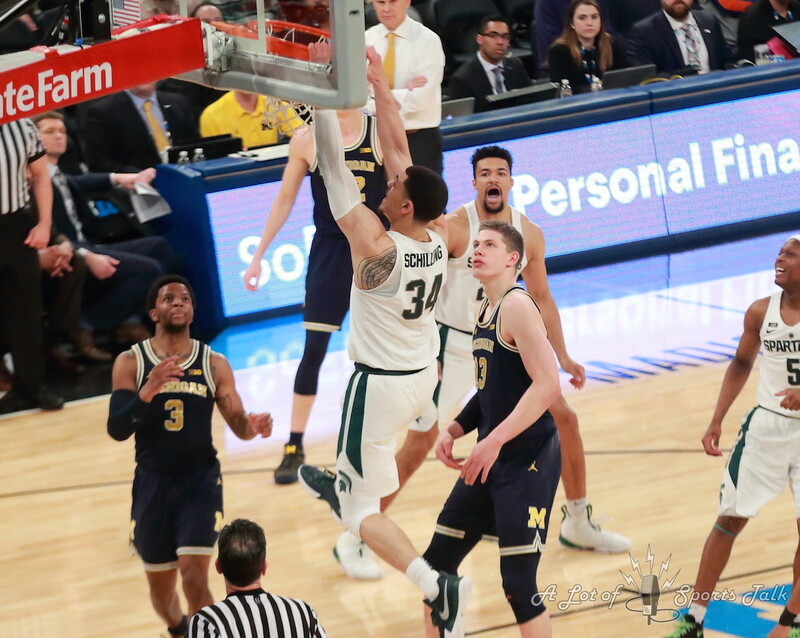 Michigan State will now wait at least 12 days until their next opponent, as the Big Ten Tournament occurring one week before its normal slot will give all NCAA Tournament-bound teams from the Big Ten an elongated break before their first game in the Big Dance.